Posted on March 29, 2018 by Aliya A.
Jane Austen’s first novel follows Catherine Morland and her innocent and trustful nature. A satire on the Gothic novels popular at the time, Austen accurately and amusingly generalizes heroines, plots, and books in her narration. She also defends fiction (since at that time, reading novels could lead to negative judgment on a character reading them) quite eloquently and sensibly. One of ten children and living in the country, Catherine has not seen much of the world. However, when her friends, Mr. and Mrs. Allen, head for Bath for Mr. Allen’s health, they invite her along. Upon reaching Bath, however, Catherine soon finds that she has no acquaintances there—which means, of course, that she’ll have to make some. 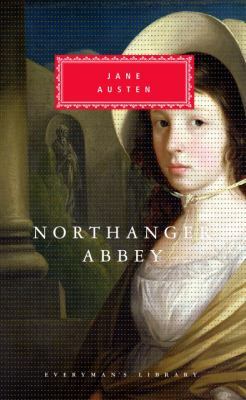 Austen’s “heroine” lives through some scrapes during Bath and her visit to Northanger Abbey, some of which are the result of her newfound friends, others because Catherine, an avid fan of these Gothic novels, misinterprets some of her experiences at the Abbey. Northanger Abbey is one of my favorite Austen books (along with Pride and Prejudice). Her friendship and conversations with the Tilneys provides very amusing reading, and her innocence in the face of almost (to me) obviously bad intentions on the part of some of the characters made her seem younger than seventeen (though her unearned trust of everyone can perhaps be explained away due to her never really been out in society before). In the end, though, Catherine does mature, as she is exposed to the truth about the behaviors of some people. Northanger Abbey by Jane Austen is available for checkout from the Mission Viejo Library. This entry was posted in Book Reviews and tagged books and reading, england, gothic, romance, satire, young women by Aliya A.. Bookmark the permalink.